Swiss Meringue Buttercream is going to taste more like butter. Yes I said butter. It is not nearly as sweet tasting as American/Wilton Buttercream. With this amazing buttercream can actually make beautiful buttercream roses, drop flowers, blossoms, drop strings, borders, etc. 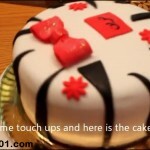 It can be used under fondant as a base icing. I also use it when I make Cake Pops. It also makes great dams to keep fillings inside you layer cakes from busting out. We start out measuring our ingredients. Then we place the egg whites and the granulated sugar into a heat proof bowl on top of simmering water in a double boiler and stir it with a gloved hand until all the sugar has dissolved. Ingredients pre-measured for Swiss Meringue Buttercream. Add the egg whites and granulated sugar to a double boiler. Mixing the egg whites and granulated sugar in a double boiler until the sugar is dissolved. You should not see or feel any grains of sugar in the mixture and the temperature should be around 125ºF/50ºC. 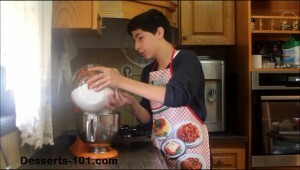 Transfer the egg white mixture to the mixing bowl. Whip the egg white mixture until it is cool to the touch, white and glossy. Add in the confectioner’s sugar all at once. 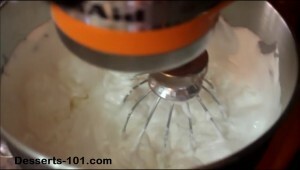 Add the warm sugar/egg mixture to a stand mixer and whip until it becomes glossy (5-8 minutes). The meringue mixture is glossy and peaks like this. It is also room temperature. (The temperature is very important, if to warm your butter will melt.) If in double take its temperature it should be under 80ºF/26ºC. Adding in the confectioner’s sugar all at once. Whisk the confectioner’s sugar in. Add the room temperature butter and shortening pieces and whisk until the buttercream become fluffy and stiff. Whipping in the confectioner’s sugar on low speed at first increase speed as it get absorbed. Adding in all of the butter and shortening pieces all at once. Swiss Meringue Buttercream after 30 seconds of whipping. Notice the mixture looks broken with lumps in. This is normal, keep whipping it will come around. Switch to the paddle, add in the vanilla extract (or flavoring of your choice) and paddle on low to medium low speed for 3-5 minutes to smooth out the buttercream. Enjoy! Adding vanilla extract (flavoring) and then paddling 4-5 minutes until buttercream comes together. 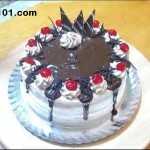 Swiss Meringue Buttercream is different from American Buttercream, Italian Buttercream and French Buttercream. I use it as my main icing. I use it under fondant, in cake pops and cakes. You can make different flavors and this makes a great chocolate buttercream. Place the egg whites and granulated sugar in a heat proof mixing bowl which will be set up as a double boiler. 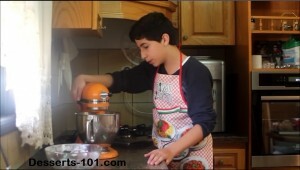 Place a top a pot of simmering water and mix the mixture with a gloved hand. You want to make sure all the granulated sugar dissolves, you should feel no grains of sugar between your fingers nor should you see any. 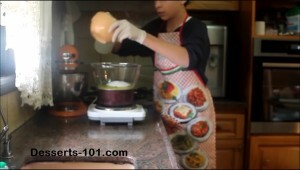 The mixture will end up around 120-125ºF/48-52ºC. At this point remove the mixture from the stove. Place the egg white mixture in the bowl of the stand mixer and turn the stand mixer on and start whipping using the wire whisk attachment. You will continue to whisk the egg white until they cool to room temperature and become white and glossy. (Room temperature is 68-72°F/20-22ºC) The outside of the mixing bowl should feel cool to the touch. If there is any warmth to it, continue to mix until the mixture has cooled down. Add in the sifted confectioner's sugar all at once. 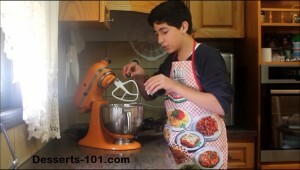 Start the mixer on low speed to prevent a sugar eruption and increase speed to incorporate it well. Add the butter and shortening all at once. Mix on low speed for 30 seconds to a minute, At this point the mixture will looks runny and lumpy, this is normal. 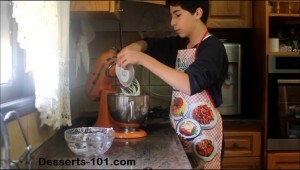 Continue whisking on high speed another 3-5 minutes or until the mixture become lift and fluffy. If you are not using a heavy duty stand mixer this may take a long time. 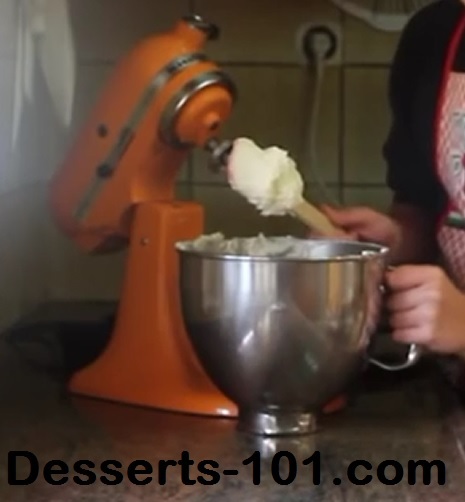 If you are using a hand held mixer it may take 15-20 minutes or longer. 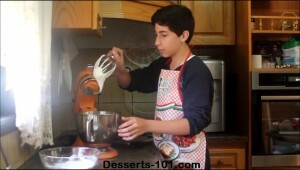 Change the mixer from a whisk to a paddle. Add the vanilla extract. Paddle on low to medium low speeds for an additional 3 to 5 minutes. 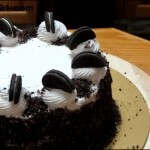 This is help whiten the buttercream and make it smoother. You buttercream should be stiff and look like the one in the picture..
For the whitest buttercream you can get, use clean vanilla flavoring. You may also want to use all shortening and a little clean butter flavoring. This buttercream will last 4-5 days at room temperature. You can refrigerate it for up to 2 weeks or freeze it for 2 months. To use, bring it back to room temperature. Then put back in the stand mixer and paddle the mixture smooth on low to medium low speed.